"Neon Genesis Evangelion" will be coming to Netflix in the Spring of 2019. In addition to the 26 episodes of the original anime series, the follow up movies "Evangelion: Death & Rebirth" and "The End of Evangelion" will also be streaming worldwide on the service. Excitement was the first reaction most of the internet had when the series was first announced to be coming to Neflix. However, a growing and vocal group of people are expressing concern over the possibility of a redub of the series. On November 30, Amanda Winn Lee, the voice actor who played Rei Ayanami, tweeted "No it’s not a rumor. I can’t tell how I know but it’s definitely true. They are redubbing". The tweet has since been deleted, but the stir this information has caused could not be erased. Netflix has redubbed anime series in the past without using the original cast. According to Tiffany Grant, who played Asuka Langley, the HD mastered video will be out of sync with the original dub, making it very likely that a new English dub will be a necessity. Despite the apparent need for a redub, none of the main cast of the original English dub have been contacted to reprise their roles in the series. They have used social media to express interest in returning to the series, and to voice their dismay at potentially getting shut out. "Spike Spencer (Shinji), Amanda Winn Lee (Rei), Allison Keith (Misato) and myself (Asuka) have lived with these characters for a long time, and we created their identities for the English speaking world. 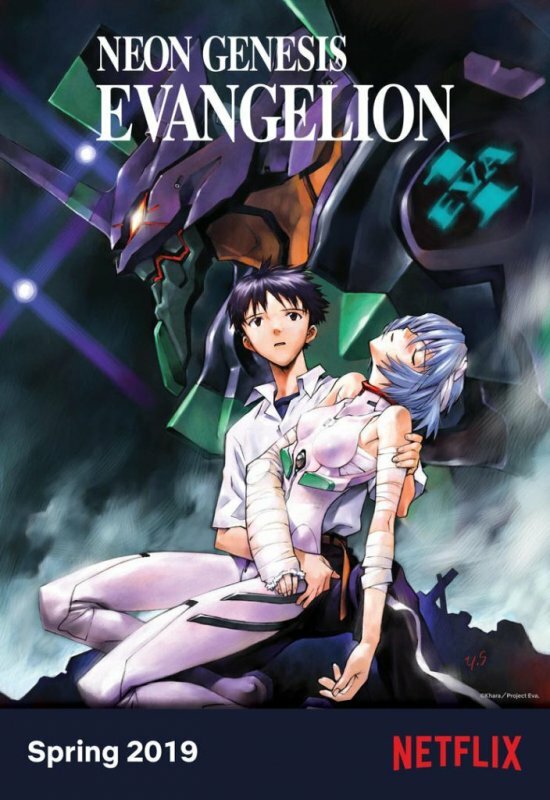 For more than a generation, [English speaking] fans of Neon Genesis Evangelion...across the globe have made the connection between those original, familiar voices and these iconic characters," Tiffany Grant said. JpopAsia has not independently confirmed that Netflix is redubbing Neon Genesis Evangelion when it brings the series to its service. Netflix did not respond to requests for confirmation or to comment on the matter. But even just the possibility of Evangelion moving on without her is enough to make Grant upset. "If the show is redubbed, and someone else were voicing Asuka, I can&apos;t even imagine how that would feel. I know I would feel very sad in a very real sense of grief and loss. I would never hold any anger toward the replacement, because I understand what it is to be a working actor. But I could never watch it," she said. The original cast is not taking the possibility of being replaced laying down. Several have started and promoted a social media campaign calling on Netflix to keep the original cast for any redub that may happen. The campaign uses the hashtags "#spikeisshinji", "#tiffanyisasuka", "#amandaisrei", and "#allisonismisato". An online petition has also been started, with nearly 1,000 people signed up at the time this article was published. Whatever may happen, Grant will always feel a deep connection with series. It and the character she played has become an integral part of her identity. "Being Asuka is so much more to me than just a job or a role, she is an integral part of who I am, like a conjoined twin. When I watched End of Evangelion for the first time nearly 20 years ago, I was alone. I found myself on the edge of my sofa crying, yelling at the screen, "Damn it, Shinji! Why won&apos;t you come help me!" I think that pretty much sums it up," she said.